GM replaced the "real" Opel, with this; the Buick Opel by Isuzu. That's quite possibly the worst name ever given to a car. There wasn't even a model name. It was just Buick Opel by Isuzu. The reason this was done was pretty simple; cost. There were hundreds, if not thousands of Buick dealers in the US at the time. They all had big, lighted "Buick / Opel" signs out front. The cost of changing all those signs would have been a lot for the dealers to absorb. The Buick Opel by Isuzu was an Isuzu Gemini. 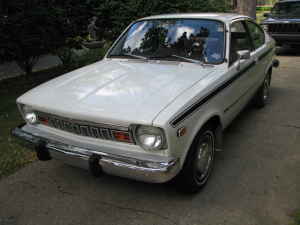 It was built on GM's T-car platform, the same platform as the Chevy Chevette. It didn't come close to being as fun to drive or as well built as the Opel Manta it replaced. GM dropped the line in 1980. The car didn't disappear, though. In 1981 Isuzu reintroduced it through their own dealers it as the Isuzu I-Mark. (A name that might not have been quite as stupid Buick Opel by Isuzu, but it was close.) 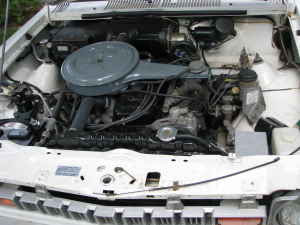 Isuzu's early marketing emphasis was on diesel versions. The 51hp four-cylinder was technically advanced for its time, but, as Hemmings recently wrote, "the I-Mark rode and drove like a ten-year-old car...a very slow ten-year-old car". The I-Mark never sold well in the US. Few Buick Opel by Isuzus still exist. This one appears to be in very nice condition. An exciting car, it is not. An interesting piece of history, it is. For that reason alone, it's nice to see one in this condition. considering that the i-mark had "handling by lotus" doesn't that make this car a buick opel isuzu lotus? In that case they could have just called it the BOIL. - Also not a great name for a car. And the fact is that we in Europe had the t-car also as Kadett C, available with the fine 1900 CIH en 2000 CIH engine. Never got it why they didn't export those to de US, they were basicly the same as the Izusu in base but completely Opel Engineered and many parts interchangeable with the previous Kadett, Manta and 1900 models. Opel was and is very competitive to VW, pity that GM never tried it harder with Opels overseas. 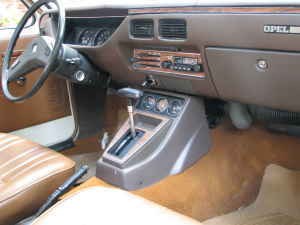 We had one of these -manual. The main problem, however, was that it was a rust bucket. Our car's engine lasted longer than the body did. I just love the car. Had the yellow one when I was a young mother working pay to pay and that car did well. Inexpensive. Don't see many but did see one at a car show to prove my guy that they are real. Thank you. Raced a 1976 Yellow one in SCCA Showroom Stock C in 1976-1977. Had to run the OEM 155SR13 stock tires. In 30 week-ends at the track, never a DNS or DNF. Beat the existing lap record for the class by 15 seconds @ Texas World Speedway. 16 1st place finishes. Top speed was ~100. Rear brake lockup was the worst fault the car had. Lots of great memories. My family had one just like this one. My older brother’s first car. After he got a nice Cutlass the Opel was relegated to the utility vehicle. At 14 years old I was allowed to drive it as long as I stayed on the gravel roads. (It was several miles to black top in any direction) I thought it was pretty cool! (Had a glass pac on it!). I knew of its Buick affiliation but nothing on the car indicated it.